Hello I am back! We had a wonderful time. 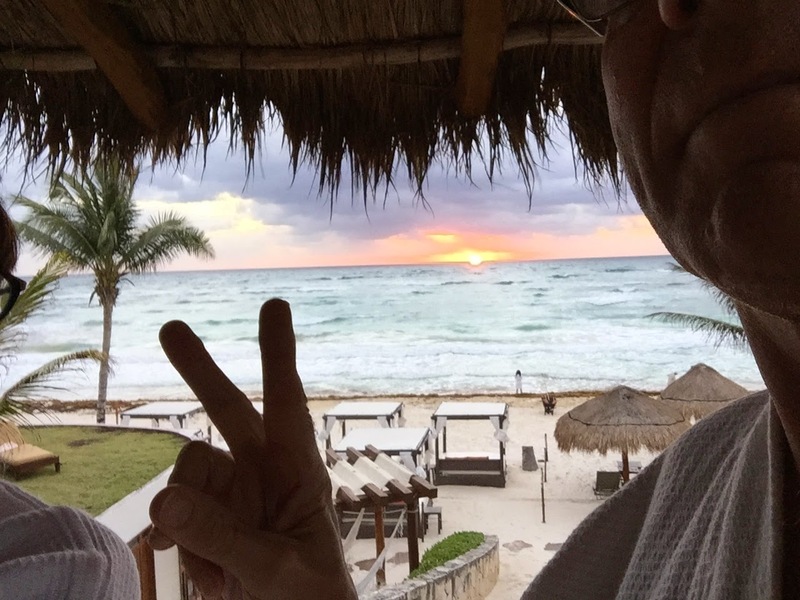 Gary and I at the Mayan Ruins in Tulum, Mexico. The view from our room at Ana Y Jose. Now it is time for Challenge #31 over at Raisin Boat. The challenge this month is "Celebrate." I made a fun box card. 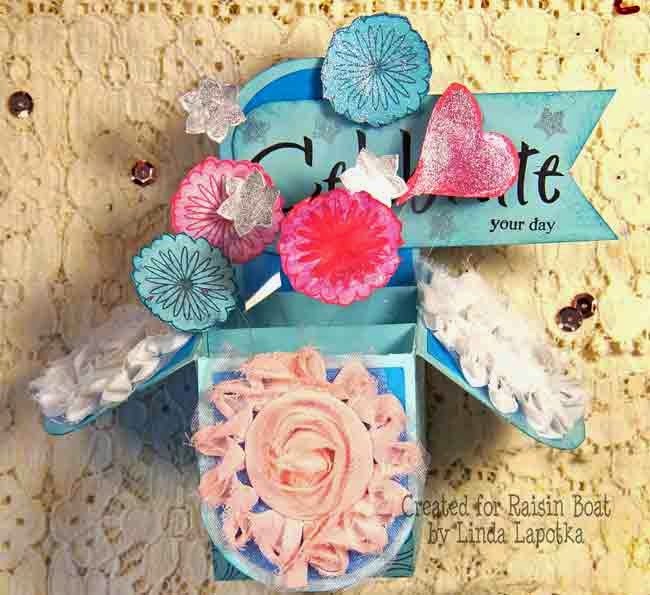 To create this card I used Raisin Boat sets; Opportunity Knocks, Urban Botanicals, Strokes of Wisdom, and Lollipop. She added some Frayed Flower Pink and White. Then last but not least my favorite creative ingredients 3D Paint. Here is a video to show how I created this fun card. I hope you share your Celebrate Creations with the folks over at Raisin Boat! Oooh! Your holiday looks fabulous!!! And those box cards are such fun! Yours looks waaay cute !!!! Glad you had a great time!! LOVING your project!! that is AMAZING!!!! Hi Linda it is lovely to see you back it looks like you had a wonderful time. Linda your box is beautiful what a terrific design a superb make.